Disappointing, but true, just because the label says “Organic” doesn’t make it so. 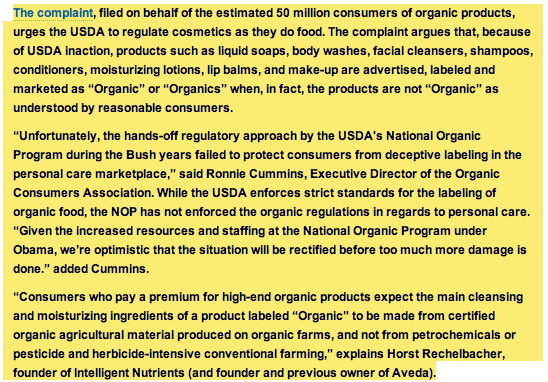 The Organic Consumers Association (OCA) has joined with certified organic personal care brands Dr. Bronner’s Magic Soaps, Intelligent Tutrients, and Organic Essence to file a complaint with the USDA National Organic Program (NOP) requesting an investigation into the widespread and blatantly deceptive labeling practices of many leading so-called “Organic” personal care brains in violation of USDA NOP regulations. 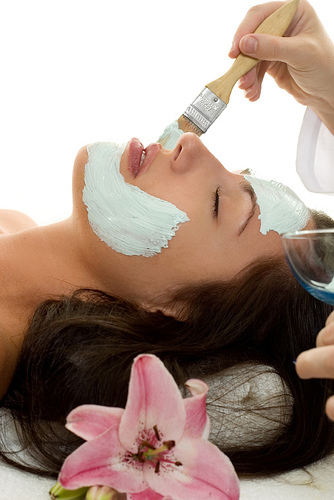 It makes sense to support the USDA certified organic health and beauty products which are listed on the OCA site. And you can check where your brand stands on a spreadsheet prepared by OCA. Some of the problem brands include: Jason, Natural and ORganic, Avalon Organics, Kiss My Face, Obsessively Organic, Nature’s Gate Organics, Stella McCartney 100% organic, Giovanni, Head Organics, Eminence Organic, Physicians Formula Organic Wear, Good Stuff Organics, Desert Essence Organics and products certified by ECOCERT. My solution? Make your own. 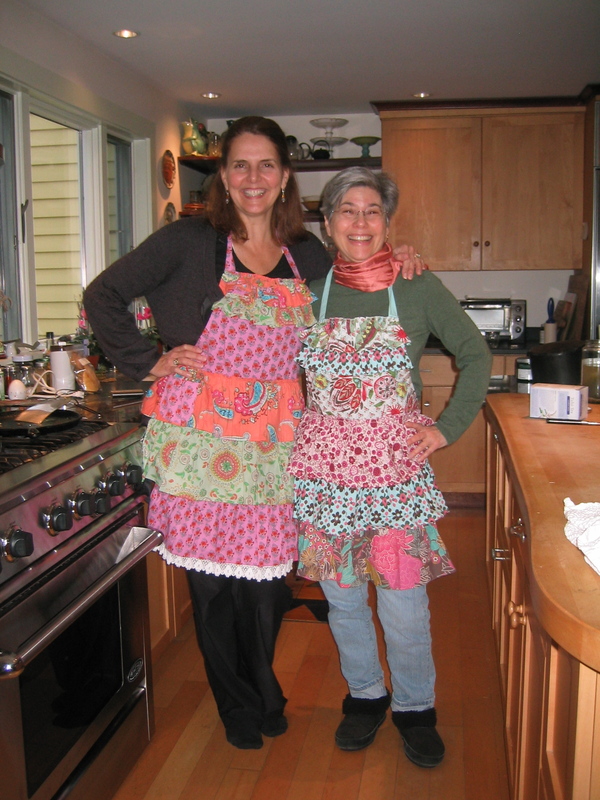 Recipes to follow this week! 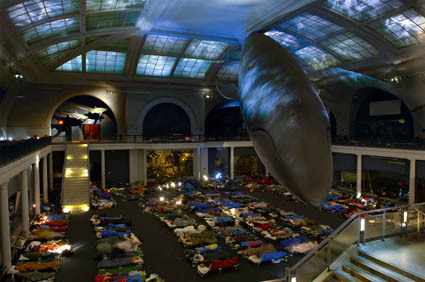 Who wouldn’t love to spend a night sleeping over at the Museum of Natural History? I have always thought about those empty, high-ceilinged and echoey hallways once the museum-goers and guards leave for the day. I know people who have a fear of being locked into the library or the furniture store or the museum after hours…. One of the books I read to the kids when they were small was From the Mixed-Up Files of Mrs. Basil E. Frankweiler by E. L. Konigsburg (New York: Atheneum, 1967). It a wonderful story: A brother and a sister run away and hide in the Metropolitan Museum of Art in New York City. A Newbery medal winner. I think the inspiration for this fabulous giant sleepover date at the Museum of Natural History has to be the film, A Night At The Museum. I wonder if I can set up a night for adults? Time: 5:45 p.m. to 9:00 a.m. Unsold clothing is made unwearable before it is thrown away!?! The New York Times reported the shameful practice of H&M and Walmart where sadly instead of giving away unworn clothing to the needy (that is such a no-brainer) they destroy the unworn clothing so no one can wear it. I’m speechless and so sad that the practice of these companies is so selfish and thoughtless when so many are in need. From their corporate responsibility section on the website: “H&M’s business concept is to offer our customers fashion and quality at the best price. At H&M, quality is about more than making sure that our products meet or exceed our customers’ expectations.It also means that they have to be manufactured under good conditions and that our customers must be satisfied with us as a company. Taking responsibility for how our operations affect people and the environment is also an essential prerequisite for H&M’s continued profitability and growth.” Well we need to keep watching to see if they walk their talk- since they certainly do not in NYC.